Following the rules laid down in the Maastricht treaty, the government of Belgium is obliged to count all public debt in its national debt figures. The country is organized on a Federal model with three levels of government. These are the Federal government, the governments of the country’s three state (Flanders, Wallonia, and Brussels) and local government, which is organized as provinces. The debts of Fortis Bank, which was rescued by the Belgium government in 2008, were briefly included in the national debt. However, the government sold that Bank to BNP Paribas in exchange for shares in the acquiring bank, which then became an asset held by the government. Dexia is another bank that had to be bailed out by the Belgian government along with the governments of France and Luxembourg. The structure of the rescue resulted in the Belgium government acquiring shares in the bank. The government also had to provide guarantees for part of the bank’s debts, effectively creating a “bad bank” to enable Dexia to continue in operation. As of the end of August 2018, Belgium’s guarantee obligations for Dexia’s debts amounts to €34.25 billion. This amount is written into the national debt of Belgium. In 2011, the government of Belgium bought out the Belgian branch of Dexia to prevent it collapsing. This bank was renamed Belfius. The bank is considered to be viable and, although it is still owned by the government of Belgium, its operating debts are not included in the national debt of the country. Who manages Belgium’s national debt? The Federal government calls its ministries “Federal Public Services.” The Minister for Budget presides over the Federal Public Service Finance. Within this department, the Treasury performs the bulk of the work to managing the country’s finances. The job of managing debt and issue new debt instruments is delegated to the independent Belgian Debt Agency. Although the agency operates independently, it is answerable to the Treasury, the Federal Public Service Finance, the Minister of Budget, the nation’s Prime Minister, and, ultimately, the King of Belgium. How does the Belgian government raise loans? The Belgian Debt Agency issues bonds through an auction process. Although members of the public and any corporate trader is allowed to buy Belgian government debt instruments, only Primary Dealers and Recognized Dealers are allowed to buy them direct from the Belgian Debt Agency. Short-term debt is placed as Treasury Certificates. These are discounted devices that pay no interest, but are repaid as the full face value. The Belgian Debt Agency issues Treasury Certificates with three month, six month, and one year maturity periods. The Agency hold sales of Treasury Certificate twice a month. TCs are also denominated in Euros. Roughly 90% of all outstanding TCs are held by foreign traders. One other short-term instrument that the Belgian Debt Agency issues is the Euro Commercial Paper (ECP). These may be issued in Euros, or in any other currency. ECPs are intended to smooth over cash flow problems that the Treasury experiences when tax receipt are remitted at an irregular pace. The majority of ECPs are issued in Euros, but the Agency also issues them in Swiss Francs. There is no set schedule for the sale of ECPs. They are sold whenever a cash flow shortage arises. The maturity period of ECPs can range from 3 days to one year. The Belgian Debt Agency issues Euro Medium Term Notes (EMTN). The profile of these devices overlaps the purposes of both the short-term and long-term instruments that the Agency uses to raise funds. This is because the maturity period of an EMTN can be set as low as one month, meaning that it competes with the Treasury Certificate. One difference between an EMTN and a Treasury Certificate is that the Medium Term Note is sold at face value and pays interest. The EMTN also competes with Euro Commercial Paper because it can be denominated in Euros or in a foreign currency. The maturity period of an EMTN can be as long as 100 years, so this devices also competes with the bonds that the Agency sells. EMTNs can be of fixed interest or variable interest rate pegged to the ECB base rate, or at a differential to that rate. They can also be indexed linked, meaning that the capital amount of the note will rise with inflation. 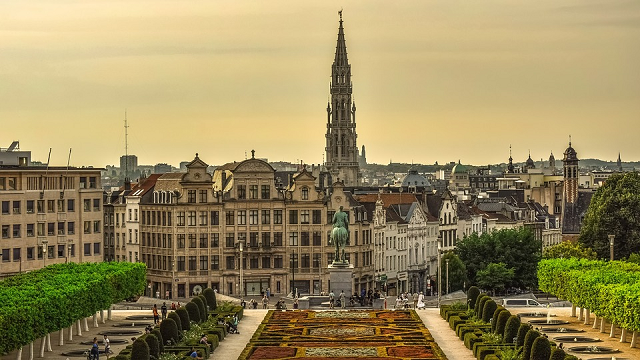 The definition of EMTNs is very broad and allows the Belgian Debt Agency to create new issues in accordance with negotiations with potential buyers. These notes are written on an ad-hoc basis, but can only be sold to Primary Dealers or Recognized Dealers. The Agency has issued EMTNs denominated in Euros, Japanese Yen, Norwegian Krona, Swiss Francs, British Pounds, and US Dollars. The linear bond is the standard government bond that any trader around the world would understand. It pays a fixed rate of interest and endures for a term that is longer than one year, but could be for a term of up to 100 years. The floating rate bonds follow the variable EURIBOR 3 month rate. The Schuldschein is a German concept and is issued specifically to raise funds in the German market. These devices don’t count as bonds, but are actually loan agreements. All of the Belgian Debt Agency’s long-term debt instruments are denominated in Euros. The Treasury also accept deposits, acting as a bank, paying interest on the amount deposited in an account with the Belgian Debt Agency. Deposit accounts can be for a fixed term of up to one year, continuous with a 48-hour withdrawal notification condition, or long-term with a deposit period of more than one year. For both long-term and short-term deposit accounts, the deposit can only be made in multiples of 1,000 Euros, and an account requires a minimum deposit of 250,000 Euros. The 48-hour withdrawal notification deposit account must hold a minimum of 500,000 Euros. Is Belgium’s national debt rising? Under the Maastricht Treaty of 1992, the Belgium government is obliged to reduce its national debt to a debt to GDP ratio of 60%. The country has never managed to reach that target. The graph below, which is provided by the Belgian Debt Agency, shows the county’s struggle to comply with the Maastricht requirements since 1993. The government managed to reduce its debt every year from 1993 to 2007. The financial crisis of 2008 and the Greek debt restructuring of 2010 (which hit Dexia Bank hard) has placed obligations on the Belgian government that has prevented it from continuing with its target. The 2017 drop in debt is due to the government managing to sell a quarter of its shareholding in BNP Paribas. This is an investment that it acquired as part of its strategy to rescue Fortis Bank in 2008. What facts should you know about Belgium's national debt? You could wrap $1 bills around the Earth 2,125 times with the debt amount. If you lay $1 bills on top of each other they would make a pile 59,612 km, or 37,041 miles high. That's equivalent to 0.16 trips to the Moon.